Conveyors – Extendable Wheel – BNB Industries, Inc.
Expandable Wheel Conveyors are the perfect fit for moving products from Point A to Point B using a flexible conveyor. 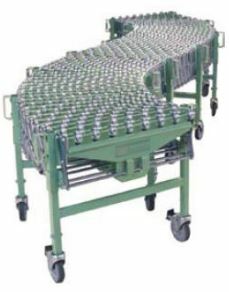 Portable, expandable conveyors allow you to quickly create a temporary conveyor line where you require it. 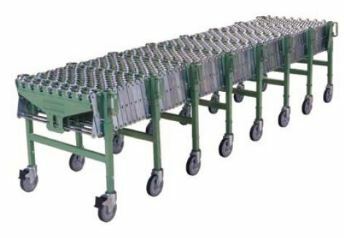 These conveyors are often used for unloading and loading trucks, shipping and receiving areas, plant floors and loading dock areas. Products need to have flat conveyable surface. Casters: 6″ x 2″ wheels with wheel locks.